It ranks up there with not sending an invoice out in the first place. It is the number one complaint a private consultant gets from patients about his/her billing process. The invoice has already been paid! Handling payments is just as important as all the other sections of a billing process. And it’s fairly easy to get it right. But if you get it wrong, you will have major issues. If you think about it it is the other end of the billing process journey: the invoice goes out; the payment comes in. That is what makes it important. Handling payments should be tackled as follows: When payments are made to you either by an insurance company or a self funder they must be recorded and reconciled against your sales/debtors ledger the very day they are received. In the real world this isn’t always possible but in that case reconciliation must be at least weekly. Should you choose not to handle payments correctly, sooner or later you will send a reminder to a patient who has already paid. That in no way will make your practice look professional. All insurance companies will send a remittance or you can access your remittance(s) on line. It is a very simple matter of reconciling them against the funds received in your bank account and then posting the payment against your sales ledger. If you send a reminder to an insurance company and they have already paid that too will make your practice look unprofessional. There is however another critical reason why YOU MUST PAY CLOSE ATTENTION to payments. The remittance advice which accompanies a payment will detail any shortfall or excess deduction in the amount actually paid to you. A real time example: MHM generated £1,191 worth of invoices recently for a client and sent them electronically to a single private medical insurance company. Payment will be made on Friday this week but is only for £851. WHY? Because, the deduction of £340 is a mixture of shortfall / excess amounts. In other words around 30% or £340 of the invoice value will NOT be paid. 30% is generally speaking around the level of shortfall / excess amounts that will be deducted from a payment you will receive although it can, and does, vary from week to week. In most cases this is the first opportunity you will have to identify such items. We’ll be talking about how to handle shortfalls and excess tomorrow but at this precise point you must start with the basics. 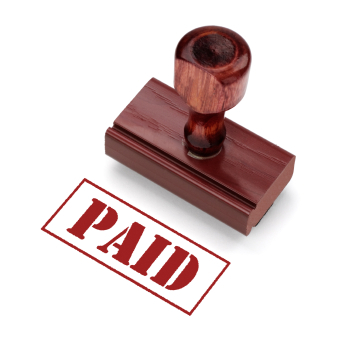 Are you handing payments correctly and does this process confirm how much you have been paid either in full or in part? When you are paid and the details appear on the remittance, you must tackle the issue of shortfalls / excess. If you do not keep a very careful eye on which invoices have been paid in full, you will almost certainly not keep an even more watchful eye on those invoices that have only been paid partially due to shortfalls/excess. And that will have a huge impact on the amount of money you think is owed to the practice. You could easily be owed LESS than you think which would appear to be a positive but could turn out to be a major problems because shortfalls and excess are more troublesome to manage than an invoice. If you don’t handling payments made efficiently, you could have all sorts of shortfalls / excess amounts that have never been identified and thus never actioned.